We’d love your help. Let us know what’s wrong with this preview of Patti by A.J. Leehart. A killer wanders the United States committing horrific murders as the love of his life, Patti, watches from a picture frame in his trailer. Mollie wants to find out what happened to her twin sister, Patti. But how far will she go? Is it worth risking your life for someone who's already dead, no matter how much you love them? New, thrilling horror from the author of Dog Days a A killer wanders the United States committing horrific murders as the love of his life, Patti, watches from a picture frame in his trailer. 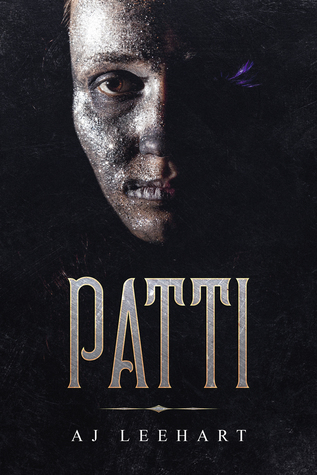 New, thrilling horror from the author of Dog Days and The Gorge, Patti is a road-trip from hell, criss-crossing America and venturing deep into the dark, secret crypts of the psyche. To ask other readers questions about Patti, please sign up. Sensational new horror from one of my favourite modern writers, AJ Leehart. This fairly shakes, rattles and rolls along - I wish I could say why and how but that would be giving the game away. At heart this is a gory road trip which never tips over into schlock but keeps you hanging on to know what happened to Patti and whats going to happen to her, if that makes sense. Its only a serial-killer thriller but I like it, like it, yes I do. Sensational new horror from one of my favourite modern writers, AJ Leehart. This fairly shakes, rattles and rolls along - I wish I could say why and how but that would be giving the game away. At heart this is a gory road trip which never tips over into schlock but keeps you hanging on to know what happened to Patti and what´s going to happen to her, if that makes sense. This was a fun serial killer thriller with a twist, 3 stars for this one. I received an ARC of this book from the author in return for an honest review. New, thrilling This was a fun serial killer thriller with a twist, 3 stars for this one. Overall I enjoyed this short story, it was well paced and I really enjoyed the supernatural elements of the story. I didn’t feel particularly connected with any of the characters but I often feel that this is the case with a short story, it didn’t put me off I wanted to know what was going to happen next! The antagonist was my favorite, I was intrigued by him. I really liked the twist at the end of the book, but at the same time it left wanting to know more!